Presentation is one of the most critical factors according to which you are judged by your customers. If you can ensure excellent quality in your packaging you can get far ahead in the marketing game. 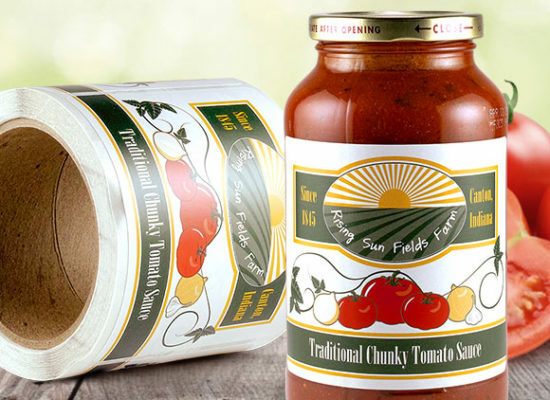 We are among the best providers of packaging label printing services. As the leading manufacturer of Packaging labels in Delhi, we assure you the best outcomes in your next campaign in advertising your brand and conveying your identity to your customers. We adhere to strict work ethics. This means we do not settle for anything less than the best quality items for the production of your labels. We use the best quality paper as well as ink for printing purpose. Also, we manufacture heat resistant, scratch proof labels which will ensure that your labels last a long time. Keeping your brand’s message presentable for a long period of time also boosts your market value. Therefore, we advise you to choose quality and assurance of service. Our products are also water resistant, meaning that they will remain intact even if it gets wet. We try to eliminate every possibility of wastage of resources and are very concerned about the environment too. Our production techniques emphasize eco-friendly practices. The range of products offered includes instruction labels, shipping marks, serial number labels, company promotion labels, and packaging labels. A wide assortment of labels, stickers, barcodes, and tags are also included in our package. You can custom design your own packaging labels according to your taste. We will provide assistance in creating the most attractive, and appealing labels that will create a lasting impression on whoever reads it. We provide the best packaging label printing services in Delhi. Our long list of customers is the best testament to our reputation. Hence do not hesitate, pick up the phone and dial our number. Our professionals will take adequate care of your marketing needs.